Actor Saif Ali Khan's Chef is all set to release in theatres next month and the 47-year-old actor is busy promoting his upcoming film. 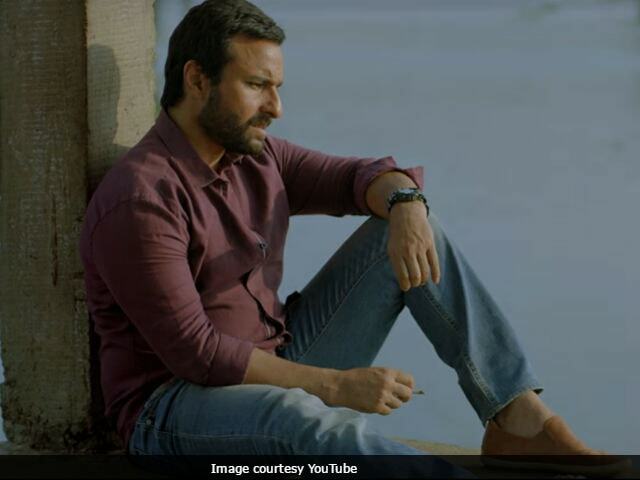 In a statement, the film's director Raja Krishna Menon talked about Saif Ali Khan's look in the film and said that he wanted a 'very casual yet creative look' for the Race actor, who will be seen portraying the role of a chef, reported news agency PTI. "While styling Roshan Kalra (Saif), I wanted a very casual creative every day look so naturally, we veered towards shorts with T-shirts or shirts, jeans -- clothes that you would see a young father wear nowadays... It's simple but that's what I love about it," Raja Krishna Menon Menon said in a statement, reported PTI. Chef is a remake of 2014 Hollywood film of the same name. The film has been co-produced by Bhushan Kuma, Krishan Kumar, Raja Krishna Menon, Vikram Malhotra and Janani Ravichandran. The trailer of Chef was unveiled by the makers of the film on August 31. The trailer shows how Roshan Kalra (Saif), a professional chef, is so involved in his career that has hardly any time left for his family. Chef also stars Dhanish Karthik, Dinesh Prabhakar, Chandan Roy Sanyal, Sachin Kamble, Shayan Munshi and Russell Peters in pivotal roles. The film was initially scheduled for release on July 14 but the director postponed the release date in order to avoid clash with Ranbir Kapoor and Katrina Kaif's Jagga Jasoos. Chef will now release in theaters on October 6.